I’ve been experimenting with chili for the past five years. Some people want to just make a decent pot, but I have been focused on making something that stands out – something that people remember and ask for again. After countless experiments and years of good, and then better, chili, I think I have finally found my go-to recipe. I will continue to perfect, I am sure, but this was by far one of the best recipes I have ever turned out. The difference here is it isn’t just putting everything in the slow-cooker and waiting eight hours. I did several out-of-the-Crock-pot add-ons to make the flavor and texture pop. Total cooking time came in at just about an hour and the entire batch made enough for four people. Enjoy! Sear ground turkey in a pan until brown. 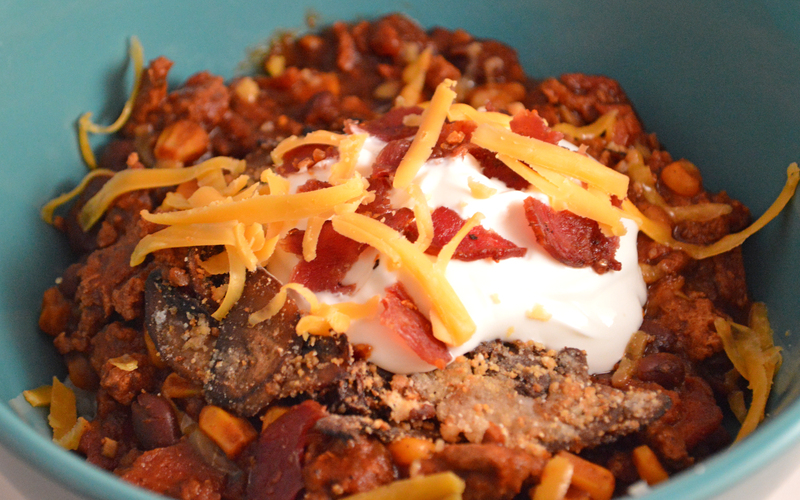 Don’t worry about cooking all the way through – you will be simmering this chili through the day so it will cook all of the way. 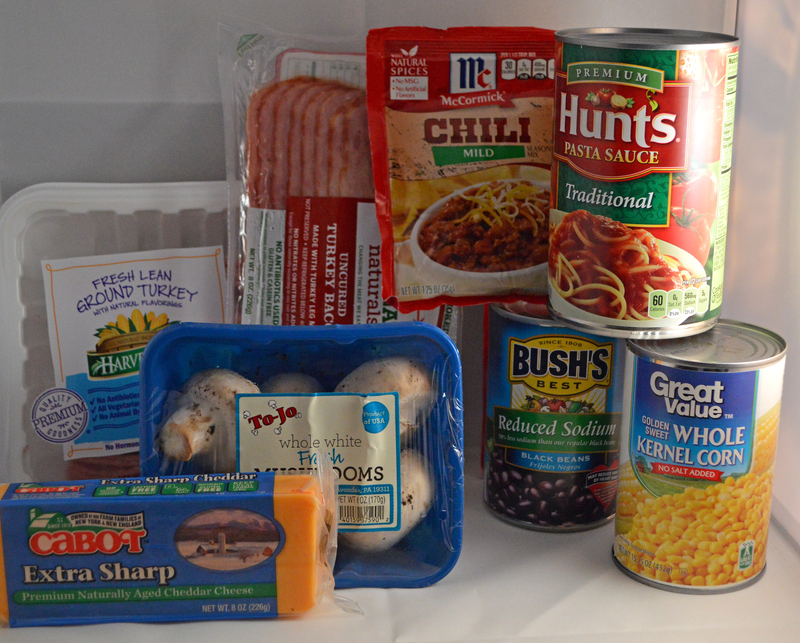 Add ground turkey, tomato sauce, whole can of black beans, drained can of corn and two packets of mix into crock pot. Cook on low setting for 8-10 hours, stirring hourly. During last hour of cooking, add bacon to chili and mix well. Lay turkey bacon on foil-covered baking sheet. Season as desired. Bake for 10 minutes, take pan out and turn bacon over. Season second side and bake for an additional 10 minutes. Shred by hand and add to chili as directed. Slice mushrooms – the thinner the crispier for your chili topping – and add to frying pan with 2 tsp. of olive oil. Allow mushrooms to pan sear to desired “crunchiness”. Flavoring tip: adding a bit of Parmesan cheese adds to the crunch and bold flavor.